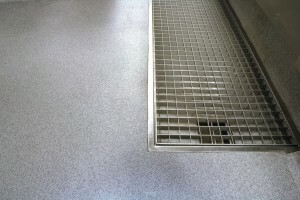 Mention the word institutional and many people automatically think of prisons and jails, and thus consider institutional floor finishes with bars attached. Strangely enough that view of institutional floor finishes is not far from reality. 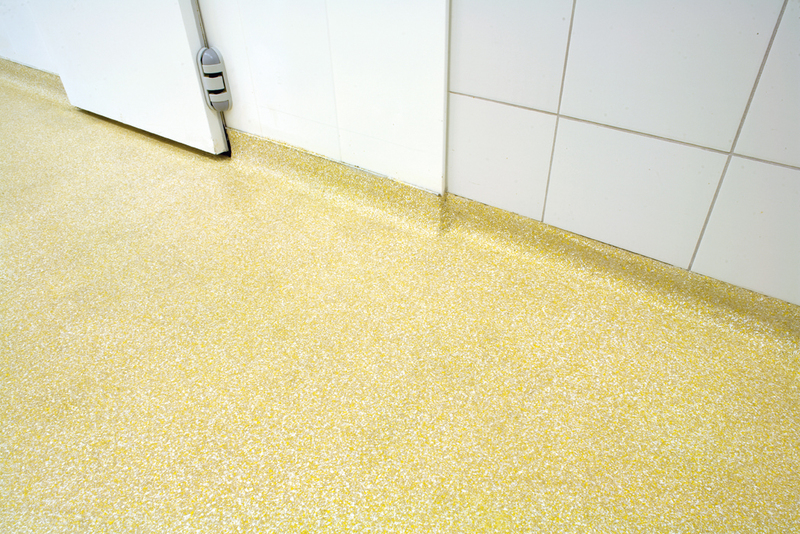 There are many institutions, including jails and prisons, which have benefited greatly from great floor finishes. Your institutional needs may run into needing institutional floor finishes that can put up with the awful floor punishment of forklifts. Forklifts are about the worst thing that a floor has to deal with. First they are incredibly heavy, besides the increasingly heavy loads they carry around, and their large rubber wheels frequently leave scorch marks on the floor that they traverse upon. Forklift accidents are unfortunately very common, but one of the best things that a warehouse can do to avoid accidents including running into people, forklifts running into racks, columns, and even its own stored inventory is to make the warehouse cleaner and brighter. Warehouse lighting in general is rather poor as well as expensive to maintain but a bright floor color can do the job without continual costs. One way to accomplish this is with a clean Silikal brightly colored floor. Institutional floor finishes can make a drab warehouse drabber in general as for some reason many warehouses think that their floor should be metal gray. Look at Silikal’s pictures of warehouses with light floors, and you can immediately spot the difference. Perhaps you are considering institutional floor finishes because you have a meat packing plant. Such a plant will be very cold inside, and chances are that the final product is also kept at a frozen level. 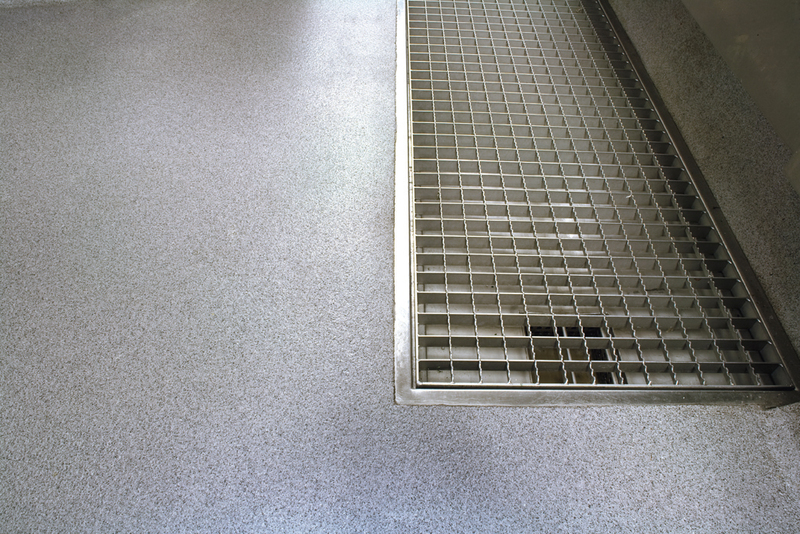 The location where the meat is cut and prepared will be slippery with grease and blood, thus that floor has to be completely slip resistant. Then too, inside the freezer sections of this plant, the floors there too must not be slippery and must be able to take the constant freezing temperature. Again, we have Silikal to the rescue, as it is the perfect answer to those two scenarios. Suppose instead you are a hospital institution. Now it is superbly important for the floors to be scrupulously clean and in fact totally hygienic. Silikal is the perfect floor for a hospital as it is completely seamless as well as being non porous. Because of this factor, germs and bacteria have nothing to fasten onto. Nothing ever gets under a Silikal floor either! This makes them superbly easy to clean, and they are also completely resistant to stains, a fact that is important where iodine is frequently used, among other stain making liquids in a hospital. No matter what your needs are for institutional floor finishes, Silikal has the perfect answer for you. Nothing beats Silikal!